A BBC documentary film crew has been held at gunpoint for over three hours while trying to sneak into the world’s most famous secret base – Area 51, otherwise known as Groom Lake / Dreamland. The Groom Lake facility has no perimeter fence to keep out intruders, but instead uses a network of hidden sensors and cameras that can detect when anyone crosses onto the base. Private security guards also patrol in unmarked jeeps. Documentary maker Darren Perks and his film crew were arrested at gunpoint while filming ”UFO: Conspiracy Road Trip’ documentary, which airs next Monday; the footage will show the incident where they are arrested at gunpoint. They were forced to lie on the ground for three hours as guards surrounded them armed with M16 assault rifles. 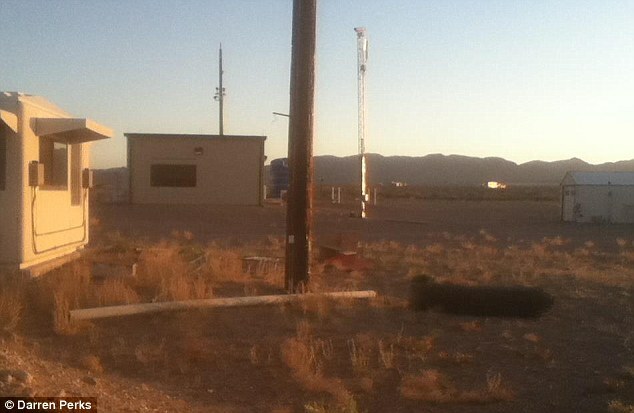 Some of the buildings at the Area 51 gate that the team managed to film before their arrest. 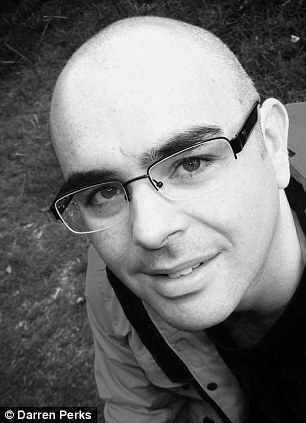 UFO enthusiast and documentary film maker Darren perks said: ‘At this point I managed to talk to the guards a bit and one told me how they could ‘make you disappear and your body will never be found’. ‘He also pointed out that an Apache attack helicopter had been scrambled and had been monitoring us from two miles away and that over 20 military guards had driven up from the actual base to deal with the incident. There were quite a few of them there with guns! The crew were all facing a potential 6 month jail sentence for crossing onto the restricted area, but after a series of phone calls between Washington and London and the payment of an equivalent £375 fine each they were allowed to go free. Area 51 is not being used the same way as 15+ years ago. Today it seems to be more of a distraction. Good point, (a distraction) They are good at this. Also, the bottom line is that when you have to answer to no one, and only have to get your bootlickers to pay lip service to the public, you can arrogantly and with impunity do what ever you want to. Groomlake is very much being used to test reversed tech and military weapons. They have a sub level underground facility there that does go down 6 levels. Perks has been back there since I think about 4 times and he knows the area very well. First off, these ‘military guards” you are referring to are called – soldiers. And yes, Virginia, they do carry guns, this is their defining characteristic! Amazing, huh? See, this is a military base, as you rightly pointed out. 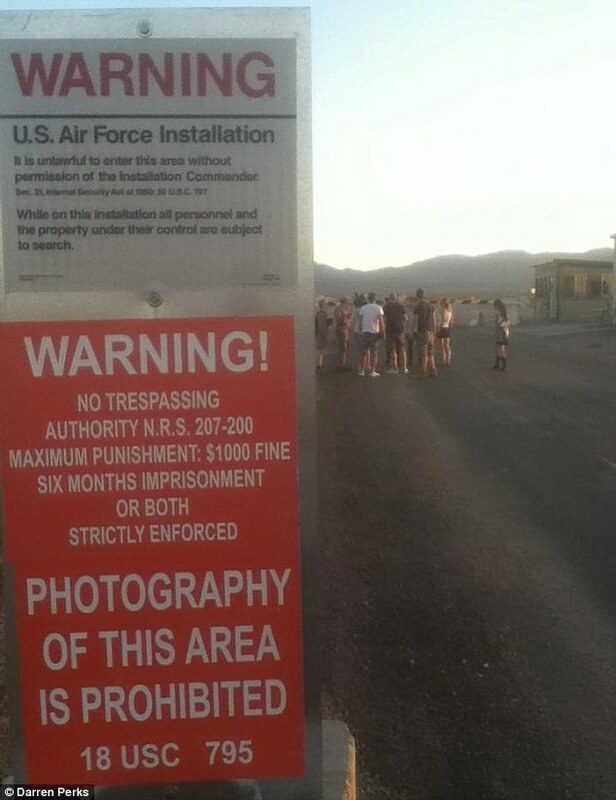 And yes, when you are trespassing on a NO-TRESPASS military area, there are signs that specifically state that you will be arrested, unless you have permission to be there. By the way, you should attempt the same stunt in your own country, they won’t leave it at a fine, ad they won’t just follow you around for a couple of days. The brits are much tougher on these situations, you should know that. This proves that the government is hiding information and thus the book Alien Interview by Lawrence R. Spencer has truth behind it. If the Alien Interview is a hoax no one shown be killed or arrested for that matter. Correction- This proves that the government is hiding information and thus the book Alien Interview by Lawrence R. Spencer has truth behind it. If the Alien Interview is a hoax no one should be killed or arrested for that matter.